David and Devindra launch to the Moon in Apollo 11 while Jeff climbs Yosemite's El Capitan in Free Solo. The cast is then joined by Hoai-Tran Bui of Slashfilm.com to talk about the Japanese film Shoplifters, winner of the Palme d'Or at 2018 Cannes Film Festival. Listen to David’s other podcast Write Along with writer C. Robert Cargill Devindra's new podcast Know More Tech, answering your question on the latest gadgets. Subscribe to David's Youtube channel at Davechensky. - Our music sometimes comes from the work of Adam Warrock. You can download our theme song here. Our Slashfilmcourt music comes from Simonmharris.com. Our spoiler bumper comes from filmmaker Kyle Hillinger. This episode was edited by Beidi Z. - If you’d like advertise with us or sponsor us, please e-mail slashfilmcast@gmail.com. 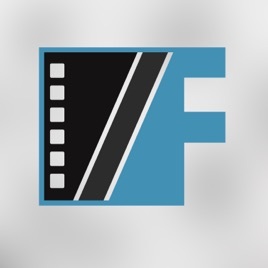 - You can donate and support the /Filmcast by going to slashfilm.com, clicking on the /Filmcast tab, and clicking on the sidebar “Donate” links! Thanks to all our donors this week!